The build-up to the 2015 Africa Cup of Nations has been dominated by questions about the decision to award hosting rights to Equatorial Guinea after Morocco pulled out over the Ebola pandemic. 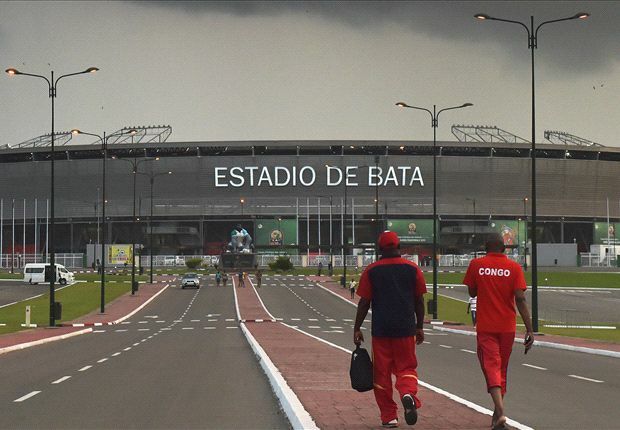 Equatorial Guinea’s location on the west coast of central Africa leaves it as prone to an Ebola outbreak as the likes of Egypt, South Africa and Ghana – who also rejected the chance to host the tournament. The tiny oil-rich nation’s status as an authoritarian dictatorship with huge inequality has also left experts worried if it is able to contain an outbreak in the event one happens. “Let’s get this clear – there is always a risk and the risk is real for every country in the world, as we have seen in the United States and Spain. No nation is immune to the disease,” leading Ebola expert Dr Karl Blanchet, who plans and co-ordinates responses to health crises in the developing world, told Goal. Any problems with Ebola could be worsened by political factors. The flow of information is strictly controlled by President Teodoro Obiang’s authoritarian regime, there is no free press, and data regarding healthcare is difficult to access. What is clear, though, is that there is incredible wealth for the elite, while much of the population lives without clean water. 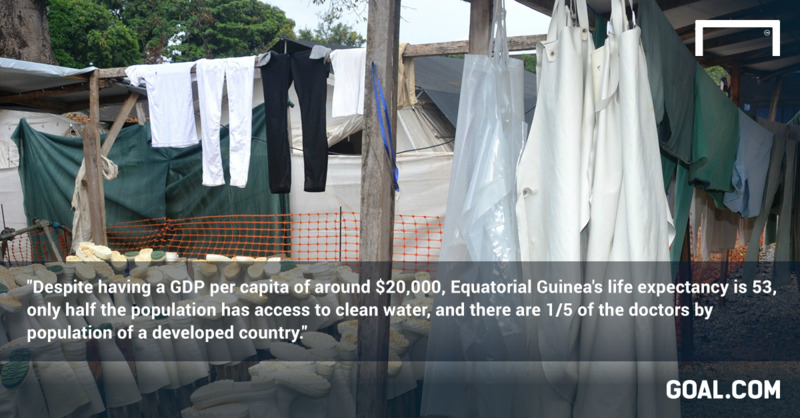 According to Blanchet, Equatorial Guinea is woefully underequipped to manage any public health crisis. “It’s a country we only hear about when mercenaries make mistakes,” he said in reference to British ex-solider and security consultant Simon Mann, who Goal interviewed regarding the nation’s safety and infrastructure. “But the [World Health Organisation, CIA and United Nations’ figures show clear discrepancies. Despite being a high-income country, with a Gross Domestic Product per capita [approximately $20,000] on a par with some European nations, in 2011 the life expectancy at birth was just 52! This is very, very low, even for sub-Saharan Africa, where you have very low income countries but an average life expectancy of 55-56, which is higher than Equatorial Guinea. “The infant mortality rate is 100 per 1000 live births – higher than the sub-Saharan average. Only 50% of the population has access to safe drinking water. They claim they will buy equipment to screen and contain Ebola but do not have the human resources. The average healthcare spending for the region is around 6% of GDP, but Equatorial Guinea only spends approximately 4%, despite being much richer. “In terms of doctors, they have 0.3 physicians per 1000 people. As a comparison, high-income non-OECD countries have an average of 1.5 doctors per 1000. Equatorial Guinea doesn’t have enough doctors, nurses, pharmacists to provide basic healthcare for its basic, exiting population, yet somehow it is capable of hosting a mass gathering event, with fans, officials, journalists and players transiting via other countries, such as Guinea, which has been severely affected by Ebola. To put it in perspective, Equatorial Guinea’s healthcare data does not particularly stand out relative to the poorest nations in Africa. Additionally, the risk of an outbreak is not especially high – it increases slightly on account of a spike in the influx of visitors, and their potential transit routes, but figures are likely to be in the tens of thousands as opposed to the million or so fans who went to World Cup in Brazil. And before the tournament, Equatorial Guinea released its plan for screening and preventing the spread of the disease. This included checking the temperature of passengers flying into Malabo International Airport, spraying fans with sanitizer outside stadia, and employing 30 doctors from Cuba. But, given how few doctors exist in the country, this potentially remains inadequate and, while the capital Malabo is on an island and thus easily managed, the rest of the matches will take place on the mainland. Junior Binyam, head of media at the Confederation of African Football, the tournament organisers, insisted there was no exceptional risk, and pointed to the regular influx of foreign workers into the country. It is unclear if Caf’s programme will prevent infected persons entering Equatorial Guinea, particularly given fans could travel by land into the mainland due to free movement agreements with neighbouring countries Cameroon and Gabon. Dr Blanchet has experience of the main affected areas – Sierra Leone, Liberia and Guinea – and he underlined the complexity of containing a potential outbreak. He also pointed out that European clubs who send players to Africa should not simply accept the instructions of CAF. “We send experts in epidemiology or clinicians to affected areas. When they return we have strict complex processes in place to ensure [London School of Hygiene and Tropical Medicine] staff and students are safe. These systems are very strict and robust and they took time to put in place. How can Equatorial Guinea introduce a very complex screening and containment process to a system that is already incapable of providing basic care? “The clubs that these players are contracted to need to ask what guarantees they have regarding the safety of their employees. For me it’s a very loose organisation – what will the clubs do to ensure their contracted employees are protected? “Will clubs have such a protocol in place? Do they fully understand the crisis, and what may happen if the correct procedures are not followed? How does a coach or a chairman guarantee safety? Guinea was where this outbreak started and has the third highest number of cases of the disease. Guinea has qualified. Yes, most of the players are based in Europe, but some are not, while many officials and supporters will be local. Have they really thought this through? Dr Karl Blanchet is Lecturer in Health Systems Research at the London School of Hygiene and Tropical Medicine, and the founder of the Public Health in Humanitarian Crises Group. He works with the World Health Organisation and has implemented strategies to strengthen health systems in Asia and Africa.